Out of the struggles for school safety among lesbian, gay, bisexual, transgender, questioning (LGBTQ) students and their allies, a movement has emerged. Gay-straight alliances (GSAs), after school clubs that create a safe space for students to discuss issues related to sexual orientation and gender identity, are at the core of that movement. Wisconsin is no stranger to the GSA movement. Today in our state there are about 80 GSAs, the vast majority of which are in high schools. Coalitions to support and promote school safety have emerged in several states and regions. 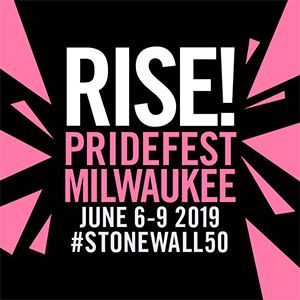 Gay Straight Alliance for Safe Schools (GSAFE) supports existing GSAs directly in South Central Wisconsin and assists youth in finding their own power as leaders through statewide conferences and leadership institutes. GSAFE also partners with the Wisconsin Department of Public Instruction to lead trainings for school professionals. GSAFE is part of a vibrant movement in which the staff meet numerous supportive school professionals. However, we also find that many students who don’t fit society’s preferred heterosexual models or gender stereotypes still feel unsafe in schools throughout our state. There is yet a lot of work to do, and the work matters. • Over half of Wisconsin LGBT youth reported feeling unsafe in school because of their sexual orientation and over one third reported feeling unsafe because of their gender expression. • Unchecked harassment correlates with poor performance and diminished aspirations: LGBT youth who report significant harassment are twice as likely to report they do not intend to go to college and their GPAs are significantly lower. Nationally, LGBT middle school and high school students were five times more likely to report having skipped school because they feared for their safety than the general population of students (GLSEN 2005 National School Climate Survey). • The presence of supportive staff contributed to a greater sense of safety for LGBT youths. • LGBT students with one or more supportive faculty or staff had grade point averages 10% higher than peers without supportive staff, and they were more likely to attend college. There is more of a gap in data related to students being LGBT and their having high risk behavior. 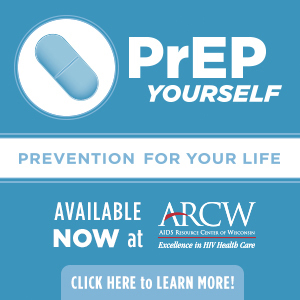 In Wisconsin we have relied on the Youth Risk Behavior Survey (YRBS), which is conducted as part of a national effort by the U.S. Centers for Disease Control and Prevention to monitor health-risk behaviors of the nation’s high school students. Some questions on the survey vary according to state. For the first time since 2001, this year’s YRBS for high school students in Wisconsin will include questions that will assist us in finding correlations between high risk behavior and students being harassed for not fitting into heterosexual stereotypes. In the 2001 YRBS survey Wisconsin students who reported being threatened or hurt for being perceived as lesbian, gay, or bisexual were significantly more likely than other students to report: 1) carrying a weapon in the past 30 days, including on school property; 2) being threatened at school; 3) missing school because they felt unsafe; 4) feeling depressed; 5) considering suicide; or 6) using tobacco and binge drinking. The law backs up school professionals who try to stop anti-gay language. Within Wisconsin’s pupil nondiscrimination law (Statute 118.13) and its interpretation, schools are obligated to protect students from being harassed based on their sexual orientation. Wisconsin is one of 10 states that require administrators to ensure a safe environment for gay, lesbian, and bisexual students. The other nine states include California, Connecticut, Iowa, Maine, Massachusetts, Minnesota, New Jersey, Vermont, and Washington. Many school districts in states without such laws have policies that protect students based on sexual orientation. Only California, Iowa, Maine, Minnesota, and New Jersey provide laws that protect transgender students (students who do not identify as the gender they were assigned at birth). In Wisconsin adding gender identity and expression to S 118.13 would be immense support to transgender students, students who do not identify as the gender assigned them at birth. At least three school districts, including Madison Metropolitan School District, in Wisconsin include gender identity in their protective policies. Laws protect people when the laws are enforced. When anti-discrimination laws and policies are both in place and practiced, school professionals, whatever their own personal beliefs, are at the very least required to accept all students. Throughout Wisconsin we understand that there are teachers, both sexual minority and heterosexual, who actually fear that they are putting their jobs at risk when discussing LGBTQ issues in their classrooms. Teachers may wait until they have tenure after three years working in a school before even considering starting a GSA or bringing up the subject of discrimination of LGBTQ while teaching. In some schools, even after being tenured, teachers who bring up LGBTQ issues in the classroom may be concerned about repercussions from parents. The threat teachers and other school staff experience will vary according to school district and school. Having both a supportive administration and knowing student rights help teachers who want to do the right thing. Several months ago a school staff person called our office to ask for advice on how to handle an angry parent whose son the school disciplined for continually harassing another student for looking gay. The school staff person’s administration was united against the bullying behavior, but the staff person still wanted more assistance with how to talk to the disgruntled parent. When we told her about S 118.13 she expressed confidence in having support from both the law and her school administration to clearly counter the parent’s defense of her son spewing out, “fag, queer, and gay,” at a another student. One complaint that people have when addressing LGBTQ issues in schools is that many students are too young to talk about homosexuality. However, harassment with anti-gay language begins young. When a girl in elementary school is teased by her peers and told she doesn’t have a real family because she has two mothers; and when a parent calls the GSAFE office about her 7th grade son who hasn’t identified as any orientation yet but looks gay to his peers and has been physically attacked by his peers while being called “gay,” how young is too young to talk about discrimination against LGBTQ people? When recognizing how students have been bullied with anti-gay language it is important to address gender. Quite a bit of teasing of students with anti-gay language is heaped upon boys and girls who do not fit gender stereotypes; gender is often confused with sexual orientation. Of course, a person doesn’t have to be LGBTQ to be oppressed by not fitting neatly into a gender dichotomy. Two GSAFE staff and one student planner attended a gathering hosted by the National GSA Network this summer. We participated in an exercise in which we were asked to think of our first experiences as activists. It was striking how the majority of the 50 people, both heterosexual and LGBTQ, related their first experience in activism to protesting how they felt others were limiting them because of their gender. Creating safe spaces for conversations around gender and sexual orientation dissipates misunderstandings and advances tolerance and a sense of common ground between people of all letters of the LGBTQ and straight allies. Student leaders can make a remarkable difference in the climate of their schools. Often times students are the ones who educate their peers as well as adults about pupil nondiscrimination laws and the need to accept diversity. Youths, school professionals, education agencies such as GSAFE, and many allies from the community involved in schools are part of a vital movement. The motivation behind our work always needs to be to promote school safety. However, the fruits of the movement will extend far beyond school walls. • Being threatened or injured at school (24.7%) compared to their nonthreatened peers (7.0%). • Not going to school because they felt unsafe (15.3%) compared to their nonthreatened peers (3.7%). • Seriously considering suicide (41.1%) compared to their non-threatened peers (21.2%) and attempted suicide (21.8%) compared to their non-threatened peers (7.7%). • Being current smokers (45.3%) compoared to their non-threatened peers (35.1%). • Using marijuana (47%) than their non-threatened peers (35.1%). • Feeling so sad they stopped doing usual activities (41.8%) compared to their non-threatened peers (26.6%). • Binge drinking in the last 30 days (39.7%) compared to their non-threatened peers (32.9%). • At the same time many LGBTQ students are thriving.